Percantik desktop Linux dengan "Google Now-Inspired Conky Theme for Linux"
Udah lama banget gue nggak bahas tentang OpenSource yah. Kemaren setelah gue surfing gue nemu tutorial cakep nih buat mempercantik desktop linux-mu. Sorry tutorialnya pakek bahasa inggris, tapi gue jamin pasti ngerti kok tinggal diikutin aja :D, maklum langsung kopas. DeviantArt user satya164 has knocked together a Google Now-inspired theme for Conky, the popular Linux system monitor (and a whole heap more). 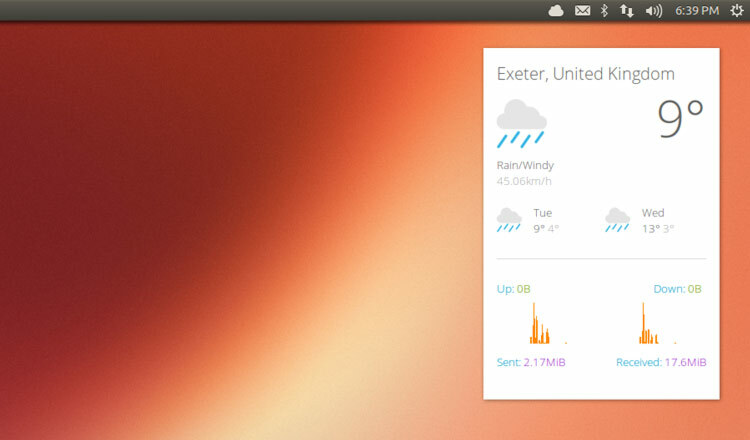 Unlike many Conky themes this one is light on information displayed, only showing weather and network usage. But like most Conky themes it is a faff to set up. The instructions below are for Ubuntu, but also apply to its flavours and other Ubuntu-based distributions like Linux Mint. Before you do anything you first have to install Conky itself. If you’re reading this article on Ubuntu you can hit the button below to open an install prompt. You may also need to grab Curl if it’s not already installed. Installed? Great. Next step is to download the Google Now Conky theme from DeviantArt. If you like the font used in the screenshot, you can grab it from Font Squirrel (for free) - but install it before launching Conky from a Terminal with the command ‘conky’. 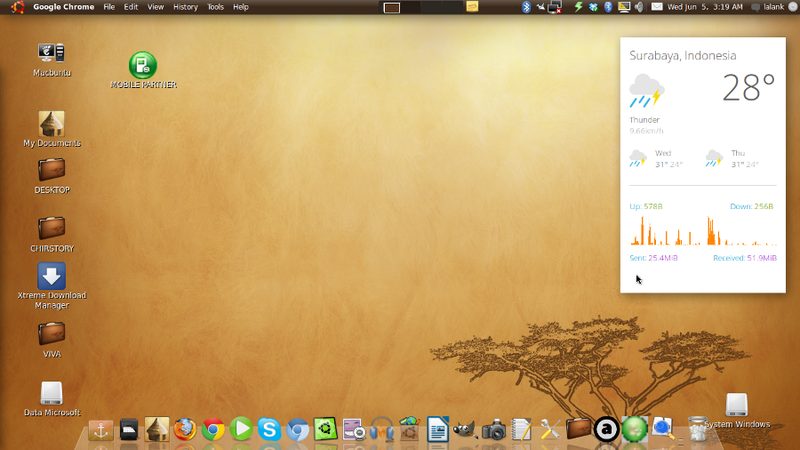 Want Conky to open when you login to Ubuntu? You’ll need to add it to Startup Applications. Finally, to complete the look check out these Google Now themed wallpapers.